Why Choose Dental SEO With DPO Local? At DPO Local, we can take your dental office's website to a new level. We know the ins and outs of the dental business, so we’re able to produce a completely tailor-made service that makes the most of our knowledge and expertise. What can DPO Local offer than non-specialist agencies can’t? Pretty much everything. We have the ability, the nous, and the comprehensive track record in this sector to produce the results you want from your website. We know where to target our work, what will produce the best results, and how to utilize our dental SEO experience to deliver the kind of return on investment that you’d once thought you could only dream of. Even when dealing with competitive dental keywords, we know our experience can deliver the results that your dental practice needs. Over our years working in this industry, we’ve been able to hone a seamless package that can help boost your website to the next level. Here’s how we do it. NAP (Name, Address & Phone Number) citation accuracy & consistency is critical, but realize that some small inconsistencies, like the difference between street vs st., won’t hurt you. DPO Local® corrects your NAP so optimal Google rankings can be achieved. Reviews are important because they garner more clicks & most people won’t consider a business with low ratings. Internet users are savvy, and they will expect to see reviews of a company prior to booking their first appointment. 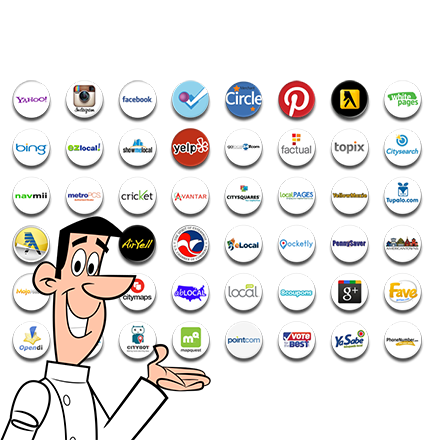 This is ewhy we will help you get a few reviews from friends / family / associates close to the business just to get started. Our DPO Local® review system creates better patient reviews on Google which are vital to top rankings. The result: An established presence of authentic online reviews, which help to boost your site to the top of the rankings. We get your website ranked organically on Google because organic search results are still getting tons of clicks from new patients every month. 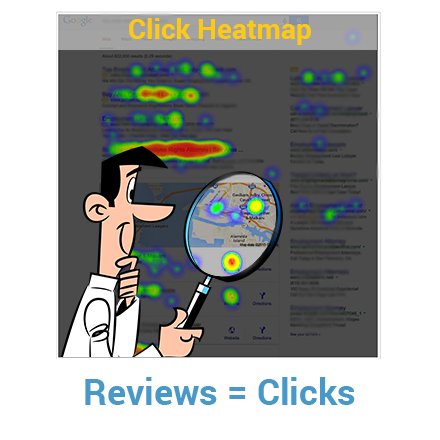 Your organic ranking is also critical for showing up as one of the 3 listings in the map box for the most important searched keywords. We only work with one dentist in a particular area. This helps to ensure that we’re able to dedicate ourselves to a local SEO strategy for our clients without having to worry about competing against ourselves. When you work with DPO Local, you can be completely confident that we give your practice our full attention so as to drive your clinic to the top of the rankings. 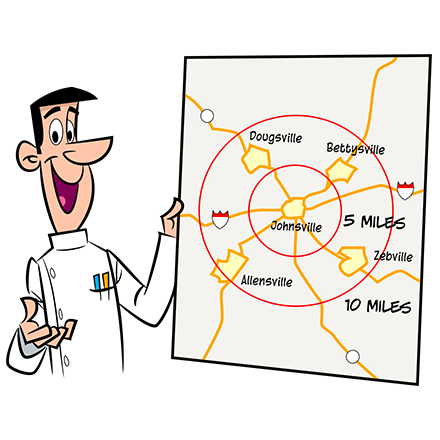 Targeting your local area is an important part of any dental SEO strategy. We’ll go further by expanding your site to incorporate nearby areas you may have otherwise neglected. We’ll build dedicated landing pages on your site for each nearby area you can target. 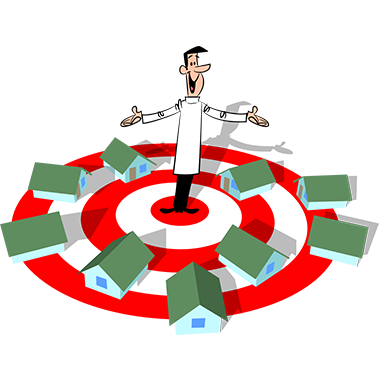 The result: Your site will rank not just for your own neighborhood, but nearby neighborhoods also— allowing you to increase your business’ viability to a larger group of prospective patients. Directories often rank well, and we make sure you rank well in them too. We’ll identify the best directories for your site to be listed in so you can expand your traffic potential. We’ll research the best keywords based on your specific service with the aim of ranking in the terms that matter to you. Of course, we’ll then submit your site to our specially-chosen directories. The result: Your site achieves directory listings that are genuinely beneficial to your site and helps to improve your own SERPs. We build out a local landing pages to get more traffic outside of your actual city and zip code. Your trading area probably has many cities to rank for and get new patients from, so why settle for just your actual city? We analyze your trading area and cities within. Call tracking can be your best source of seeing what’s working and what’s not. Our call tracking allows you to identify which marketing campaigns are working, so you can target your efforts towards lucrative sources. 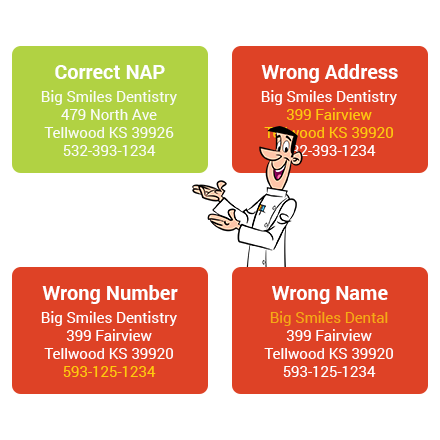 We use dynamic insertion to place a recorded phone number on an advertising source. This determines where leads come from. You can also track how calls are handled by staff when prospective patients contact you from a specific source. The result: Improved call-handling and identification of the marketing sources that are generating the best results for you, thus improving your potential return on investment. 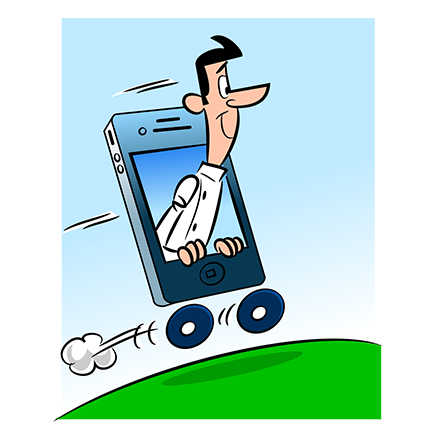 94% of smartphone users have looked for dental office information and 84% have taken action as a result. Your website needs to be optimized for mobile and that is why all DPO Local® websites are all responsive designs that work on any device See samples by clicking here. Mobile optimization is essential for achieving good local SEO, so we’ll go through your site to ensure you have a trustworthy, responsive design in place. We’ll check that Google is ranking your mobile site. If it isn’t, we’ll update your site to allow for crucial mobile optimization. The result: Better SERPs for mobile users and improved local SEO. You can rank for alternative properties on the front page - it doesn’t just have to be your website. 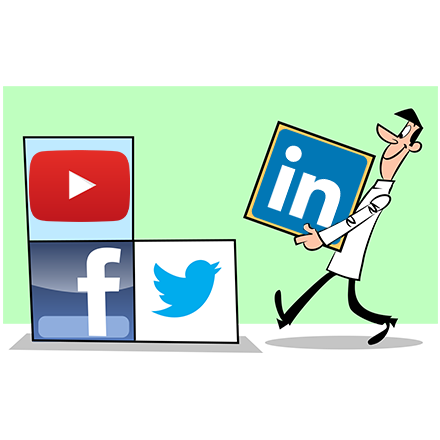 This includes videos of your office with related keywords to the search by a new patient and posts on everything from Facebook to Linkedin®. 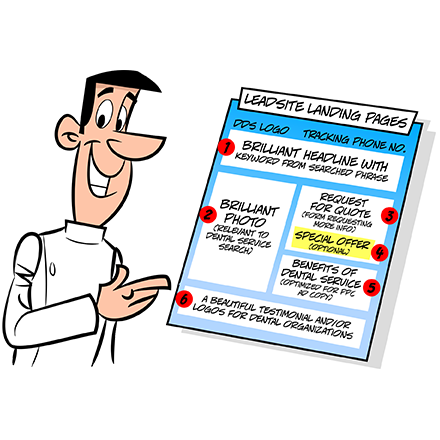 If you want to promote any other aspect of your business to a new patient, then we can help you rank that aspect. It could be your Facebook page or your LinkedIn page— if you want it to appear first on Google, we’ll make it happen. We’ll audit and improve your social media pages to insert relevant keywords that can help drive prospective customers to this vital information. The result: Your site and your social media presence climbs the rankings, allowing you to bring more customers to your site and increase your ROI. So that’s what we can do. However, our services don’t just boost your online presence. You’ll also be able to enjoy the use of DPO Local’s advanced metrics dashboard, so you can see the magic happening in real time. You’ll have access to a personal dashboard where all the information about our work — and its impressive results — can be collected. You’ll be able to see website analytics that will help you determine the future growth of your company. 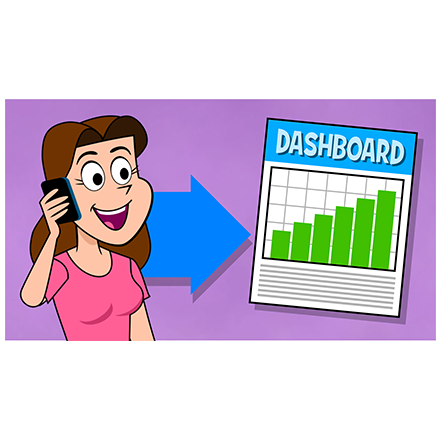 You can track and record incoming calls to help improve the customer experience and provide enhanced staff training. 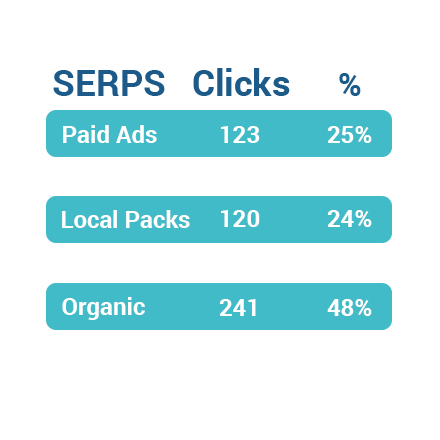 You’ll also be able to monitor pay-per-click campaigns so you can see which ads are working best for your business. So Why Choose DPO Local? Industry specialists with proven expertise in managing the SEO and marketing effort of dental practices. We only work with one client in each area, so you can be 100% sure we have no conflicts of interest. 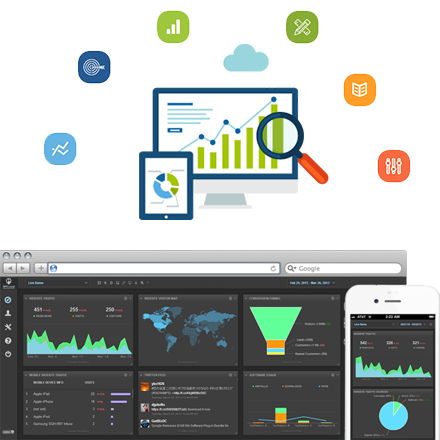 Use of a personal dashboard to track and analyze the performance of your site. Why not get in touch with us today to see how we can revolutionize your dental practice’s online performance?